There's a chance that tests given to millions of kids since 2014 to detect lead poisoning didn't work properly, delivering falsely low results to an unknown number of American families. As many as 7 million tests performed on children over the course of the three years could have been wrong, according to the Centers for Disease Control and Prevention. The manufacturer of the tests in question, however, is confident the number is millions lower. Parents may not realize that routine visits to the pediatrician should include a blood test to screen their child for lead. Among the barrage of questions about a baby's development, physical exams, updates on shots and other tests, it can get glossed over – particularly if the test comes back negative. Although lead has been banned from products such as gasoline and paint for decades, it's possible for any child to become lead poisoned so the CDC recommends testing early in life. The U.S. Food and Drug Administration recalled the faulty tests in May, and eight months later, it's still uncertain what went wrong. Health professionals and families are still dealing with the fallout, which some worry hurt trust in the screenings and could result in fewer parents testing their children. The CDC advised that some children thought to be healthy should be rescreened for lead. No level of lead is considered safe in children. But Dr. Nicholas Newman, head of the Environmental Health and Lead Clinic at Cincinnati Children's Hospital Medical Center, goes even further. Doctors have expressed their confusion over whether a patient is affected by the recall, Newman said, so he is urging anyone under the age of 6 be rescreened. Parents can get them done at pediatricians' offices and community health clinics. "Any kid coming in for anything – a snotty nose – we retest them," said Newman, whose clinic is one of 11 units in a national network of clinics specializing in environmental health. "We thought we were identifying kids," he said. "It looks like maybe we weren't." The testing systems in question are manufactured by Massachusetts-based Magellan Diagnostics, which is owned by suburban Cincinnati-based Meridian Bioscience Inc.
Amy Winslow, Magellan's president and CEO, said the company is working with federal regulators and is committed to fixing the problem. In an October news release, Donald St. Pierre, an FDA director, said American families depend on these tests and FDA has "serious concerns" about Magellan Diagnostics' actions. "The evidence uncovered during the inspection (of Magellan's plant) shows that the company put patients at risk after it recognized that its tests could provide inaccurate results and failed to take appropriate steps to report this issue," Pierre said. Winslow said the recall only applies to a fraction of the tests the company manufactures, and the Magellan systems are still essential to help identify kids and pregnant women who are lead poisoned. She hopes this situation will increase awareness, leading more parents to test their children for lead. But Dr. Jennifer Lowry, chair of environmental health for the American Academy of Pediatrics, is afraid the opposite may occur. The number of children being tested for lead nationwide is already dropping, and Lowry fears this recall will exacerbate the problem. "If the physician's office thinks it is not accurate, then they might not do the screening there," she said. "They might refer the family elsewhere, and many people won't go." Trust has been lost, Lowry said, because in addition to the tests being faulty, the FDA found that Magellan may have broken federal laws on how to handle and report complaints of inaccurate tests. "I think that's the bigger problem, the trust issue," Lowry said. Wilson Hardy, who will be 2 in February, is photographed with his mom, Shar Allen Hardy. Wilson's doctors believe lead poisoning stunted his growth. Ultimately, when they couldn't pinpoint a source of the poison, Wilson's family had to move. Once they did, his condition started improving. From 2014 to the early parts of 2017, this is what happened when parents across America took their children to get lead tests: Often, the first test was a finger stick, known as a capillary test, and parents left with results in hand. If those results were greater than 5 micrograms of lead per deciliter of blood, the national standard would be to confirm the first test with a second sample taken from a vein. It was the confirmation tests, or any venous test, that could have been inaccurate if they were conducted on one of Magellan's LeadCare systems. This prompted the CDC to recommend that children who had had a previous venous test that scored 10 or lower on a LeadCare system be rescreened. "Across the country, it’s been millions of kids," said Cincinnati Children's Newman. This matters, because lead can be disastrous for children. A child ingests lead, and it gets into his or her bloodstream. Then, it gets into the brain, and it can cause all sorts of health issues. Stunted growth. Slurred or delayed speech. Violent behavior. And, rarely, in the most serious cases, death. 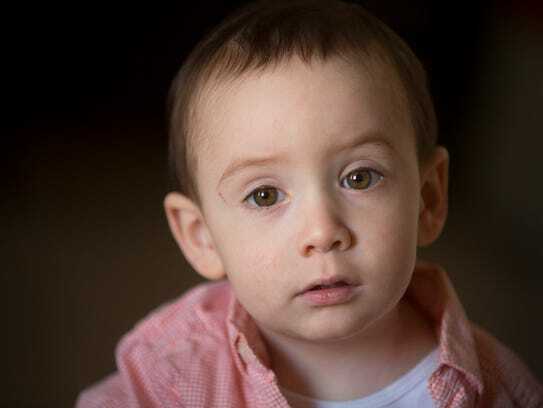 Wilson Hardy, who will be two in February, is photographed at his grandfather's home in Alexandria, KY where the family is living since their property in South Fairmount was tested for high levels of lead. Before moving away from the area, Wilson tested 19 for lead levels. His mom, Shar, said he's small for his age, but otherwise is on par for his age. 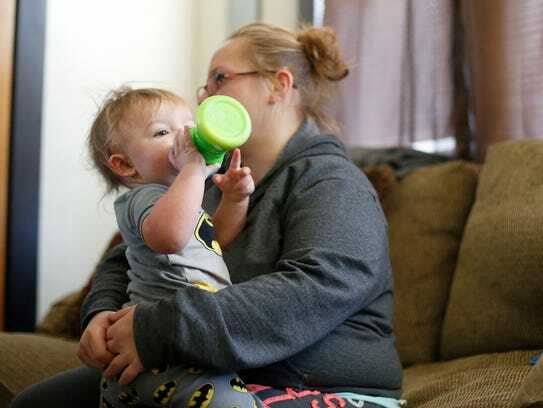 For parents, lead poisoning and its unknowns are terrifying, said Cincinnati mom Shar Allen Hardy, whose nearly 2-year-old son, Wilson, is lead poisoned. Wilson is in the third percentile for height and weight in his age group and just recently began fitting into clothes for children half his age. He started walking late. Doctors started monitoring Wilson's blood-lead levels. Despite his parents doing everything they could, including moving into an RV outside their home, Wilson's blood-lead levels continued to climb.Ultimately, he and his parents had to leave their city home and move to a rural location. Lead can come from so many places – old paint, plastic toys, blinds, purse handles, jewelry, car keys, tools, dirt – that it can be overwhelming for parents trying to pinpoint a cause. "You go home and you Google, and you have a heart attack,” Hardy said. “You’re looking around going, ‘This is killing my kid.’"
Mother of two, Mariah Roseberry holds her son, Hudson, 17 months, as she answers questions about lead poisoning risk factors in her home in the Price Hill neighborhood of Cincinnati on Friday, Jan. 5, 2018. Hudson tested at a blood lead level of 5.4. Medical professionals consider anything higher than 5.0 to be lead poisoning. While Cincinnati has taken to retesting every child under 6, an investigation continues into why the tests failed in the first place. Magellan believes it may have narrowed the cause to a chemical in some blood sample tubes. Winslow, who has led the company for six years, said they are still exploring all possibilities. "It's an incredibly complicated system," said Winslow, who believes a root cause will be determined by March. One major caveat to this recall is the accuracy of finger-stick tests, which according to the company account for 90% of LeadCare's tests, is not in question. Winslow calculates the potential impact of the recall at a much lower number than the FDA because the federal agency took into account every single lead test Magellan shipped. Only about 2 million would have been venous tests, Winslow said, and only a fraction of those would have been wrong. 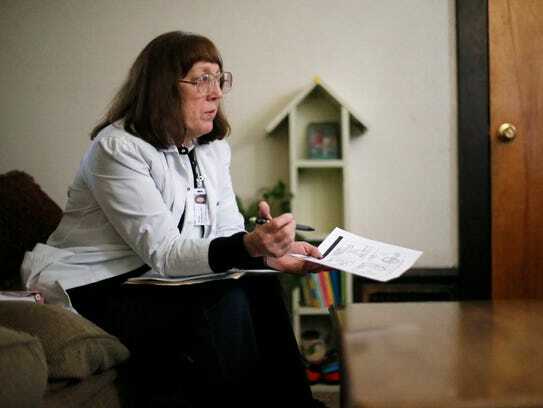 She and other health professionals, including Kim Dietrich, an expert on lead and a professor of environmental health and epidemiology at the University of Cincinnati College of Medicine, stress that it's imperative for lead testing to continue. In 2006, LeadCare became the first device capable of providing immediate results to families and doctors. Previously, the wait for results took weeks, Dietrich said, putting treatment on hold and making it harder for doctors to keep track of patients and families. "These Magellan instruments are still very important and very useful," said Dietrich, who also is a member of the CDC's Board of Scientific Counselors. In places such as Cincinnati, where older buildings pose a greater risk of lead, Dietrich suspects many lead-poisoned kids haven't been identified. Magellan first started getting complaints about false test results in 2014. In 2015, the company filed a report with the FDA, acknowledging the issues but saying it had mitigated the problem. The FDA ultimately disagreed and decided the company had underestimated the number of people at risk. FDA issued the Class 1 recall, the most serious type, in May 2017. And in October, the FDA sent the company a warning letter, chastising it for how it handled the situation. The FDA warned that if Magellan failed to fix the problems, the federal agency could take additional actions, "such as seizure, injunction and civil money penalties." Winslow characterized her company's missteps as more of a procedural oversight. Cincinnati Health Department inspector Marilyn Goldfeder takes a height measurement of Hudson Roseberry, 17 months, during a screening for lead poisoning at his home in the Price Hill neighborhood of Cincinnati on Friday, Jan. 5, 2018. Roseberry tested at a blood lead level of 5.4, higher than the 5.0 threshold for lead poisoning. "We messed up and we did not file the proper paperwork with the FDA," she said. Lowry, of the pediatrics academy, sees it as more. "Magellan, as a company, wasn't upfront about what they were doing," Lowry said. "... At this point, we also don't know what we don't know,"
Every health professional The Enquirer spoke with for this story said there is no downside to having kids retested. In 2010, nearly 4.3 million children were tested for lead, or roughly 18% of kids under 6, according to CDC statistics. In 2015, 2.4 million kids were tested, roughly 10 percent of those younger than 6, according to the most recently available data. "I think for the most part, we do a really bad job of preventing lead poisoning," Lowry said. She and others attribute the drop in testing to a cut in federal money for lead prevention from $29 million in 2012 to $2 million in 2013. Some of that funding has since been restored, but in Kansas, for example, the state's lead prevention program was eliminated. It has never returned, said Lowry who sees patients from Kansas as chief of toxicology at Children's Mercy Hospital Kansas City. Anecdotally, in Cincinnati, local health officials say it seems the region saw an increase in cases of lead poisoning in 2017, though it's impossible to tie that to the recall. Officials could not immediately provide statistics to prove it. But people such as Marilyn Goldfeder, a nurse for the city health department for nearly 11 years, said she felt the strain. Cincinnati Health Department inspector Marilyn Goldfeder asks mother of two, Mariah Roseberry, about lead poisoning risk factors in her home in the Price Hill neighborhood of Cincinnati on Friday, Jan. 5, 2018. Roseberry's 17-month-old son tested at a blood lead level of 5.4, higher than the 5.0 threshold for lead poisoning. Goldfeder conducts home visits for children with lead poisoning. She sits down with parents and tries to figure out the cause. She'll ask: Does he put toys in his mouth? Does he ever play with car keys or tools? Is any paint in the home chipping? Goldfeder got so many referrals during a stretch last year she had a backlog of families to visit, which is unusual. More kids getting tested is the best-case scenario in this situation. Magellan's Winslow hears all the time from people who think that lead poisoning is a thing of the past. "Unfortunately, there are so many ways in which lead can creep into our environment," she said. "It always makes sense to do another test."